Pretty good quality and classy appearance. The Unique helmet is a perfect gift to your boys and girls who is learning to ride a skate board,bike or anything else requires protection. 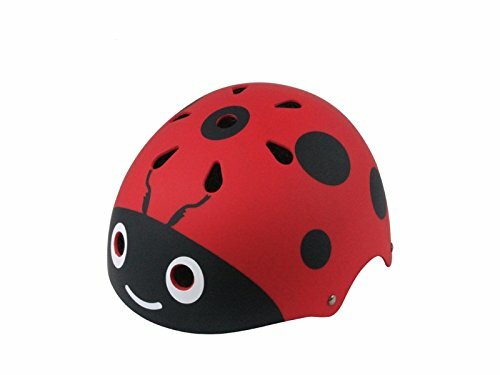 Cute and amazing Ladybug design bright and vivid colors lights up childrens playtime fun,and 11 breathable ventilation allows air to pass through it easily.